Tell me where it says in scripture to do any of this in any other name but Jesus????? The prayer of a righteous man availeth much. Book of James. Jesus is the mediator between God and man because He is both God and man but that doesn’t mean that others cannot intercede for us, as all intercession must be rooted in the mediatorship of Jesus Christ . Also, if you turn to revelation and read the whole thing about the woman clothed with the sun. That is Mary. And don’t try to fudge saying its Israel because nations do not give birth, women do. And don’t say it’s the Church because the Church doesn’t give birth to Jesus but was founded by Him. 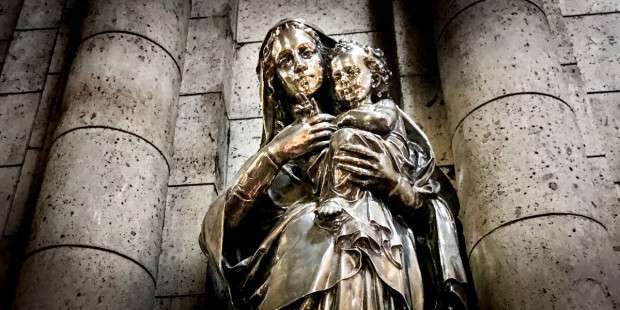 The entire passage relates how Mary was untouched by sin and no matter how much he tried, through God’s own providence, he could never lay a hand on her, so failing to infect her with sin he goes after all of us. In light of this passage, hostility toward the mother of God it’s warning that one is not born of God. It doesn’t. Keep following scripture and all the sacraments and you will be fine. I personally, by saying the rosary, and at the same time contemplating Christs journey through His life, have been rewarded numerous and supernatural graces in turn leading me to love and care for others over myself.